/ Fitness Over 50 – Starting to Exercise in your 50s. I used to exercise when I was younger. I can admit that I never really enjoyed most types of exercise and frequently stopped exercising. In my defense, it was often because of some sort of injury. But starting to exercise again was so difficult. Starting to exercise is difficult whatever age you are. But starting to exercise in your 50s? Shatteringly difficult! However, don’t let that put you off. Nowadays we tend to have easy, comfortable lives. We don’t need to live like our ancestors. Where our ancestors had to go out and hunt and gather their food, we just nip round to the supermarket or to the convenient, local shops. We can even have our food delivered to our doorsteps. How lazy is that? And it’s great, I have just started having mine delivered! Where our ancestors had to run from and fight dangerous wild animals, we just amble down the frozen food aisle. Where our ancestors had to walk for days to see each other, we can get in our cars, hop on the bus, or fire up our computer. However, just because we are not doing lots of exercise anymore, doesn’t mean our bodies don’t need it. Just the opposite really. Physically, we’re still cavemen. Our bodies expect regular exercise. That is why we can become obese, depressed, and lose all our energy and motivation when we stop exercising. Even modern tribespeople in their sixties, seventies, and beyond are out there hunting and walking and carrying heavy weights. No matter how old you are, your body wants and needs to exercise. We need it for both our physical and our mental health, even at 50. So what happens when we haven’t worked out since we were about twelve? The bad news is that the longer you go without exercising, the longer it will take you to get good at it and to gain full benefits from it. The good news is that it only takes a month to develop a new habit. You will start experiencing some benefits mere weeks into your new workout regime. Although you may not feel like it at the beginning! So where to begin? How do we begin a fitness regime? Follow these tips and both men and women can start trying to get fit. Again! To start off, pick a sort of exercise that you will enjoy. There is nothing worse than having to force yourself to do something you hate. You know yourself by now and you know you won’t push yourself to do it. Everyone has different interests, abilities, and motivations so choose something that will suit you. Feel free to check out some of our other articles for motivation and inspiration. 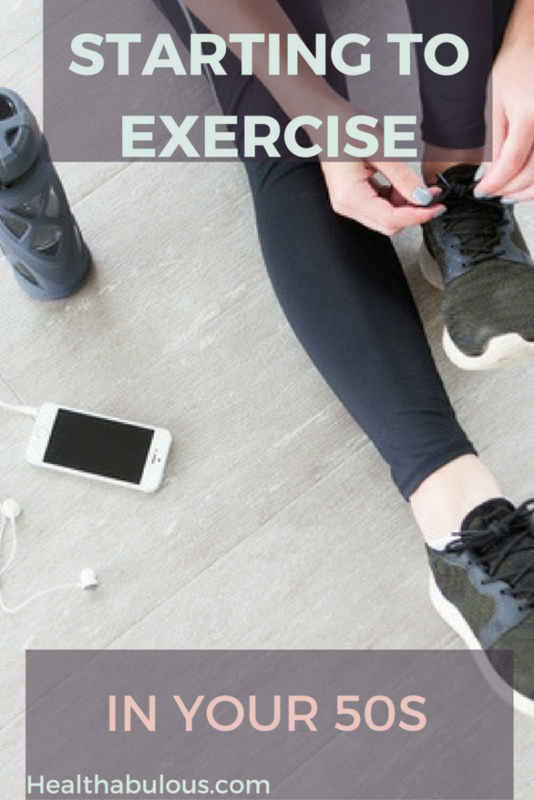 Maybe you will pick one sort of exercise to start off with, maybe you will choose to try out every sort of exercise that is available to you right now and pick the best from among them, or maybe you will pick one cardio, one resistance, and one endurance activity, and just stick with them for all-round benefits. Once you have chosen your exercise, try and write up a schedule you can stick to. Make it reasonable. Many people fall down here because they get too ambitious and write up a schedule that even an Olympic athlete would struggle with. Will you really exercise twice a day, every day? No, didn’t think so! The trick is to be realistic, but push yourself a just enough. There is a fine line between coasting and being pushed beyond your ability; so find that line! You need to make sure that any time you write an exercise into your schedule you can definitely be there to do it. There may be the odd day where you’re pressed for time, feeling unwell, or even forget. So write it down. In pen, not pencil. And pushing yourself? If last time you exercised for half an hour, this time allocate yourself forty-five minutes. Or if last time it took you twenty minutes to complete a run, this time try and do it in fifteen. By all means be considerate of your body, your budget, and your interests, though. It’s a myth that exercise must hurt. When you are exercising it’s fine to feel out of breath, sweaty, and a little low on energy. And many people feel sore in their muscles the next day, or two days later. This is perfectly normal. But if you feel soreness or pain in your muscles and joints during exercise, stop immediately. Try another type of exercise, or see your doctor about what may be causing the pain. Finally, keep track of your exercise regime, as well as your diet. Many people who start exercising will feel suddenly hungry and overeat junk foods, gaining weight and growing lethargic. Try and eat a healthy, balanced diet, rich in protein to fuel your new activities. And try and follow what exercises you do, how long they take you, and how you feel afterward. Seeing your own progress is the best motivator there is! So don’t just sit there thinking about starting to exercise in your 50s. Actually start. You may find that getting into exercise when you are over the age of fifty is not as hard as you thought. Just start off fairly gently and don’t overdo it. It might feel tough at first, but bit by bit your body will get used to it. Soon you will start to expect and enjoy it, and before long you will be reaping the rewards of giving your caveman body the daily exercise it needs! What exercise are you going to try first? I am going to start yoga and also up my daily walking schedule. Starting Yoga in your 50s – Is 50 Too Old to Start Yoga?